One summer, I ate nothing but toast and read historical fiction for 3 months. A few years ago, I made about 50 crochet bowls. Recently, I made snickerdoodles for days on end. Binge activities are pretty common around here. A few weeks ago, it was socks. It was all I could think about. How much I wanted to make them. How I wanted them to look. Which yarn to use. Which colours. Toe up or cuff down? I even dreamt about them! And so, the only way to deal with an obsession is to dive deep. 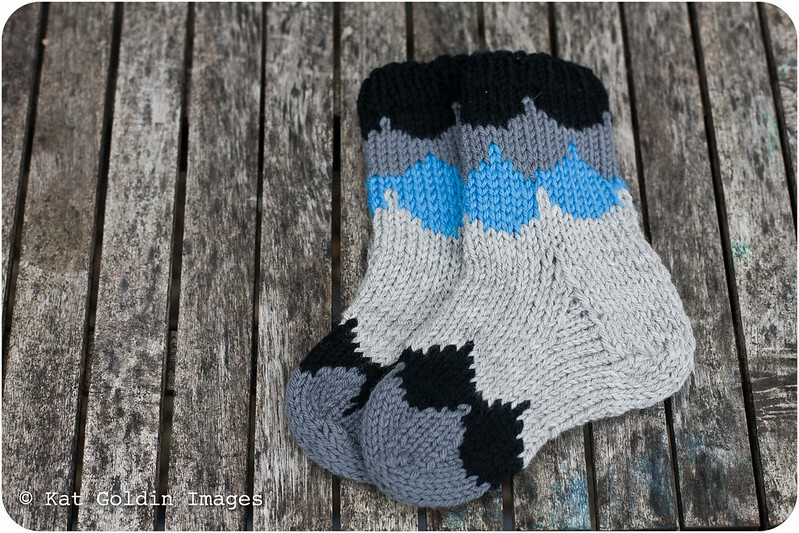 I just had to make some socks. 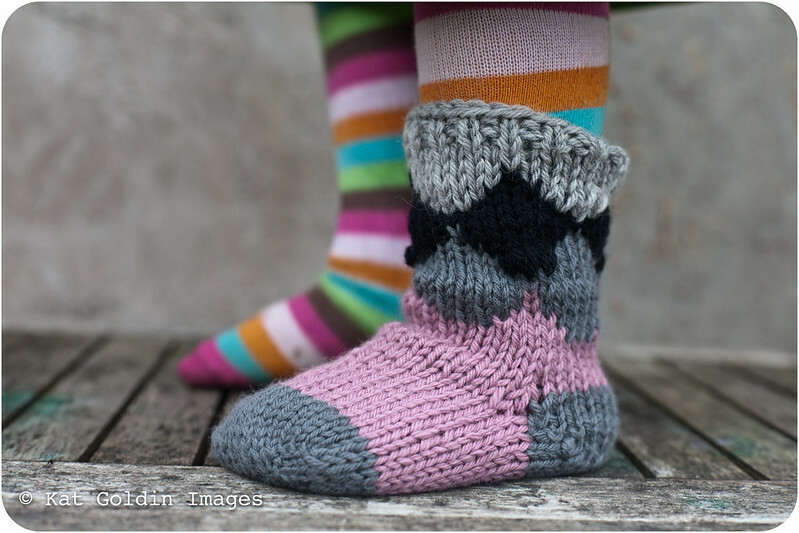 Guiding me on my sock journey was Joeli Caparco's new book Tiny Treads, a collection of kid's sock patterns. 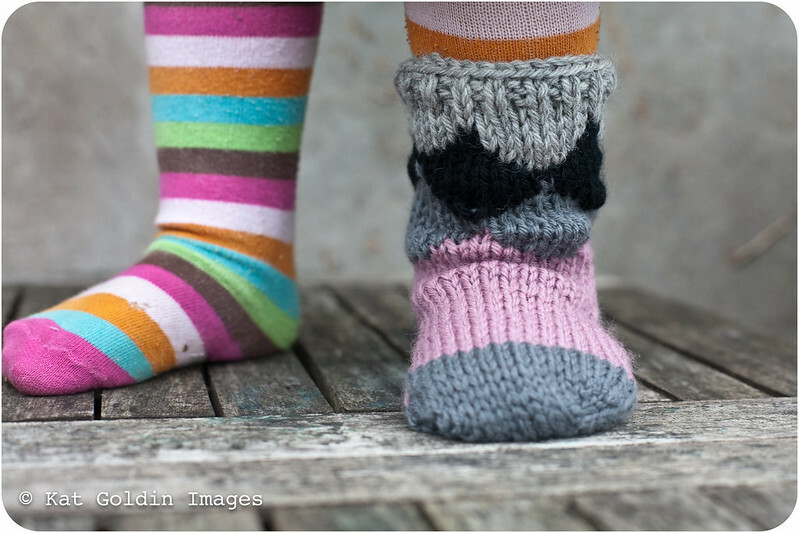 I've never knit socks before and needed something to cover the basics, plus Joeli was a student on Capturing Childhood (and even took some of the photos in her book!! ), so I knew she was where I needed to turn. While I was tempted to try out some of the more complex patterns, what I really needed to get out of my system were some multi-coloured, stranded socks I'd seen on pinterest. I started with worsted weight, as it was what I had in the house. Joeli's book is really good because it has a couple of generic recipes at the beginning (one for toe up and one for cuff down), which I could base the pattern on, all the while making up my colours as I went. I really want to make her contrary cockleshell pattern next and am just waiting to find the perfect solid/semi-solid yarn that is perfectly Georgia.